Night flights can now land in Russian Mission. All the runway lights in the community are fixed following a vandalism spree over the weekend. 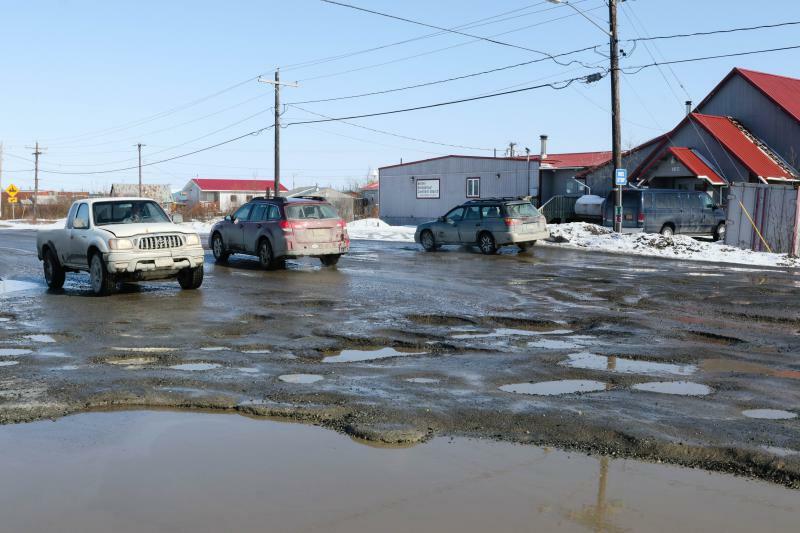 City workers along the mid-Yukon-Kuskokwim Delta coast are frustrated. The extreme ice pack encasing a GCI tower has been slowing down, or simply cutting off their work for more than a month. KYUK managed to check in with a few communities while phones were connecting to see how they were doing. Lower Yukon and nearby coastal communities can expect spotty phone and internet services to continue. 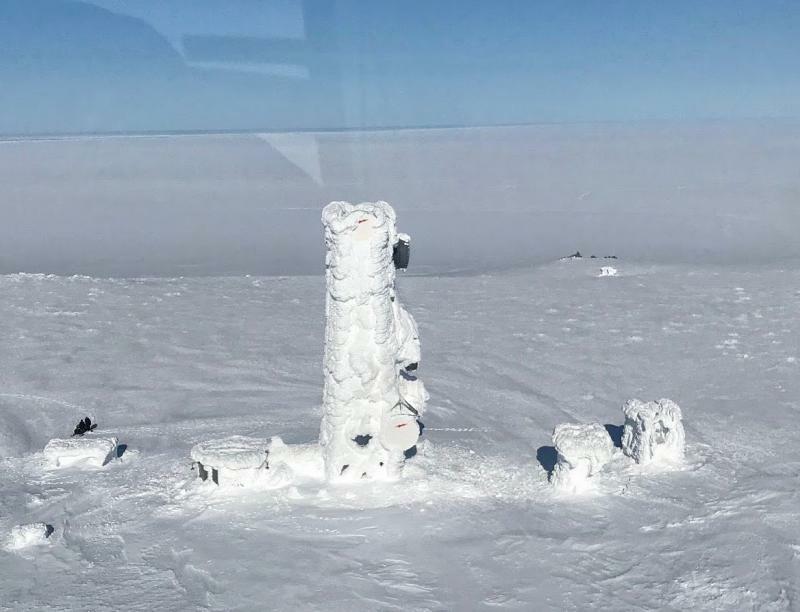 Unusually thick ice on a GCI communications tower near Scammon Bay has meant frequent service interruptions for surrounding communities since March. Update April 12, 2018 1:12 p.m.: Wednesday's brief, city-wide power outage was due to an accident in the field. A year and a half after Hageland Aviation flight 3153 flew into a mountain on its way to Togiak from Quinhagak, the National Transportation Safety Board (NTSB) has released its reports on the crash along with sweeping recommendations. The NTSB investigation also took a look at why Alaska continues to have the highest small plane accident rates in the country, and the Board has recommended major changes in the way that the Federal Aviation Administration (FAA) oversees the state’s numerous airlines that use small planes commercially. 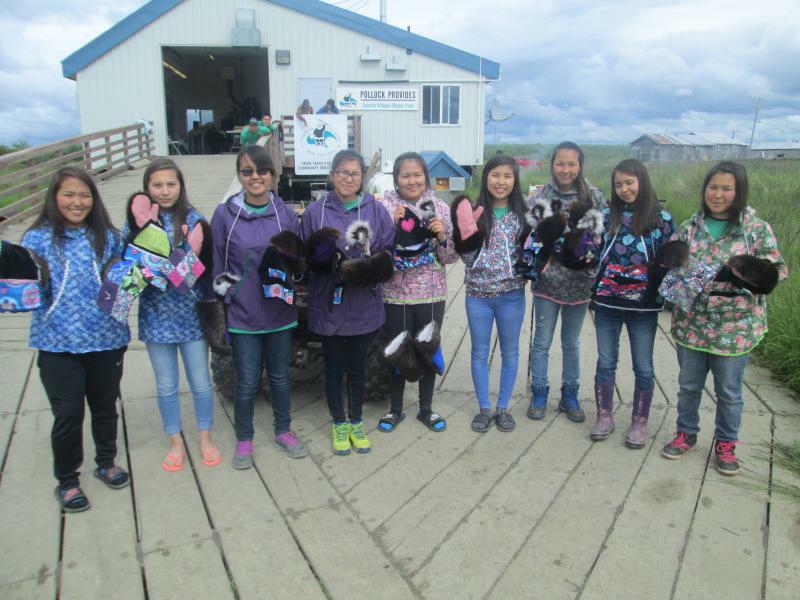 It’s spring, and the Coastal Villages Region Fund’s summer jobs program has come around again. Those interested in applying for the Youth-to-Work program need to apply before May 13. The program includes shadowing people working in village organizations and working at CVRF’s Community Service Centers. There are two sessions being offered, each a month long. Those who qualify will be able to work either in the first session, which starts May 30 and runs until June 29, or they may work in the second session, which starts July 5 and ends August 9. A year and a half after a Ravn aircraft crashed into a mountain near Togiak, the National Transportation Safety Board (NTSB) appears poised to issue a report on the accident. The state is about to go to work responding to Bethel's pothole predicament. Starting Thursday, the Department of Transportation will begin repairing Chief Eddie Hoffman Highway. The warm winter has wreaked similar havoc on highways across Alaska. In Bethel the roads are a wreck, making the traffic unpredictable and dangerous. Drivers are swerving across lanes, narrowly avoiding other cars and pedestrians as they try to dodge extreme potholes that have grown into craters, trenches, ravines, and small ponds. With few city resources on hand, the problem is expected to get worse over the coming months. 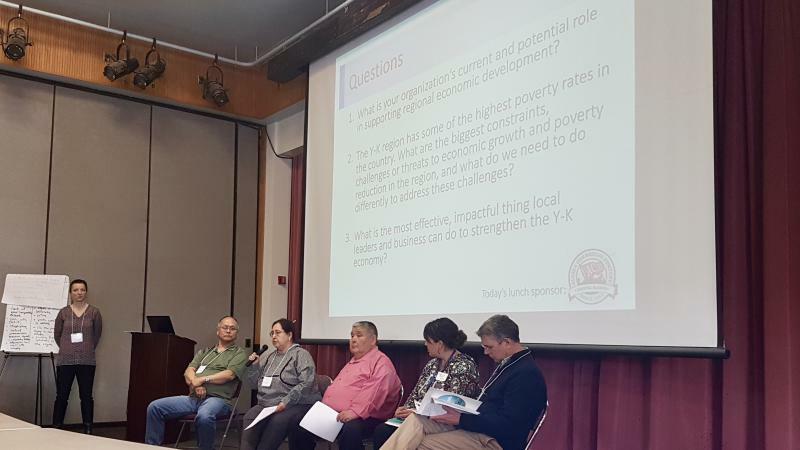 It’s no secret that many challenges stand in the way of economic growth in the Yukon-Kuskokwim Delta, among them the high cost of energy and transportation. But this week, leaders of Native non-profit agencies, corporations, and other entities teamed up in a two-day meeting to look at the issues.